Hello and happy Fun Friday! Today is my daughter's last day of school and just can't believe how fast the year flew by! This weekend we are heading up to my parent's house in Jacksonville to celebrate my grandma's 100th birthday!!! 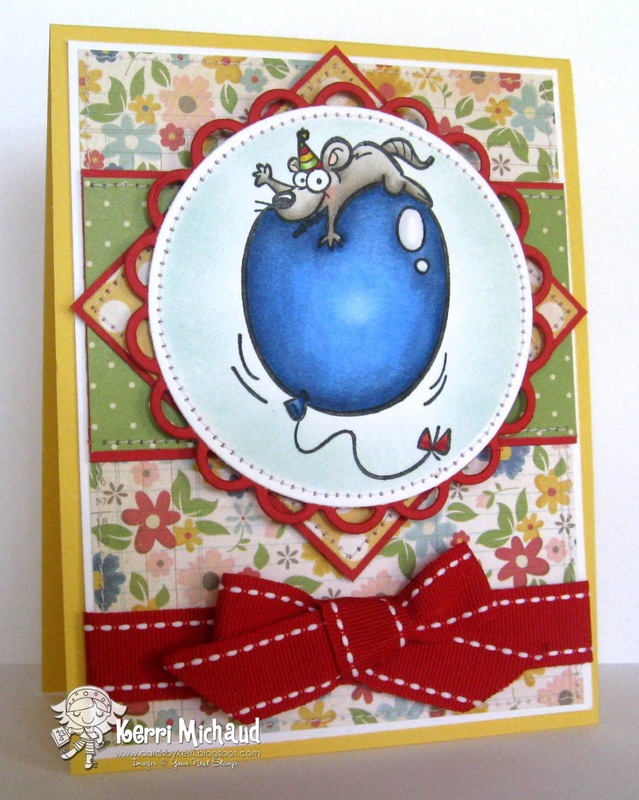 I made a fun little birthday card for her using this super cute image from Your Next Stamp called Balloon Ride. I know she'll get a kick out of this little guy:) The dp is Simple Stories Summer Fresh, and the layout is The Deconstructed Sketch #52. Make sure you check out the Your Next Stamp Blog to see more Fun Friday projects and for some awesome tips! Well, I gotta go charge up video cameras and regular cameras so I can capture all the milestones over the next few days:) Have a fabulous Friday and thank you so much for stopping by! This is such a fun birthday card, Kerri! Wow, to celebrate a 100th birthday is quite special for your grandma! Have a wonderful holiday w/e! What a cutie! Have a fun weekend!